Moving and Handling Equipment: Want to move heavy loads without breaking a sweat? 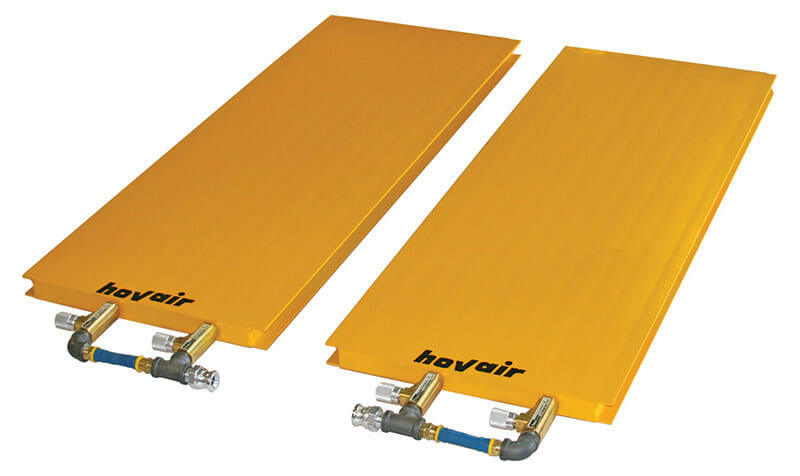 Air beams are the best options to mobilize heavy loads that are dependent on low-profile devices. These aluminum-based, lightweight, compactly designed beams can easily fit under heavy bulks. Their profile height is around 2 inches; length can vary between 4- 12 ft and width lies between 1 and 4 ft. The dimensions of air beams are customized according to specific heavy load moving requirements. Individually, these beams might not be able to sustain heavy weight; however, their advanced design allows pairs of multiple air beams to distribute the load evenly and provide necessary support. Separate valves installed in air beams facilitate modification of individual bearings. This is specifically helpful in handling loads that are unevenly heavier. Additional support can be provided by fine-tuning the bearings.